At Apple Hill, we are realizing our dream of bringing students together from all over the world to live, create, relax, replenish, and converse. We teach people how to experience the true essence of music and how to relate to each other without words by using the skills of chamber music. When students are here, this is their physical and creative home. Apple Hill spans 100 acres with 41 buildings. Over the past few years, we have focused on improving the living environment for everyone, from upgraded living and practice spaces for 300 students who live in 22 cabins, 3/4 of which have been updated, to completion of the Sugarhouse, the Rehearsal Barn, a bath and shower building, a small kitchenette, a large herb and vegetable garden, and the beautiful Hoffman Community Auditorium. We are also sharing our dream to complete upgrades to student cabins, faculty cabins, and practice spaces, to expand the kitchen, add winter rehearsal spaces, and build a dedicated dining facility. These are critical improvements in order to respond to requests for spring and fall workshops. Our upgraded physical space is an essential ingredient to our continued financial viability. It offers us additional capacity, positive residential experiences and camper comfort, and, therefore, additional revenue. Come and dream along with us! Apple Hill is located in Nelson, NH, on 100 acres of fields and woods, in the Monadnock Region of southern New Hampshire. 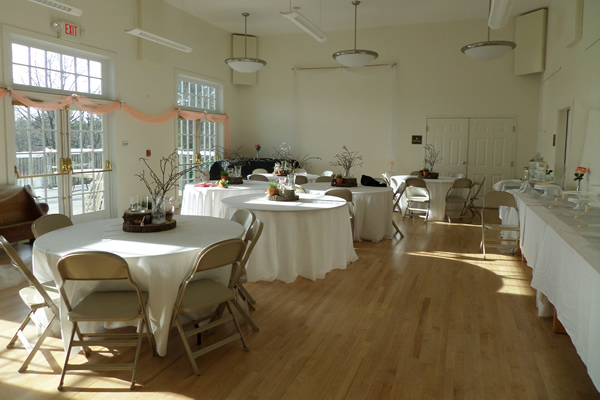 Its facilities are available to rent between late August and early June for weddings, parties, conferences, meetings, school groups, and other functions. The Hoffman Auditorium (capacity about 60) is available year round and has a small kitchen with two ovens, a sink, a refrigerator, and a freezer. 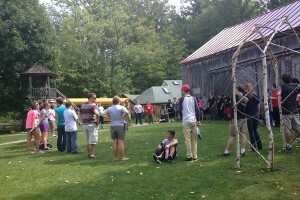 The Concert Barn (capacity 120) is an unheated space which can be used when the weather permits. There are full kitchen facilities attached. Several unheated rustic cabins can be rented for overnight use. The unheated Rehearsal Barn has several rooms which can be used for small breakout groups. Individual rooms, groups of rooms, or the whole facility can be rented on an hourly, daily, or weekly basis. Rates vary and discounts are available for non-profit groups. 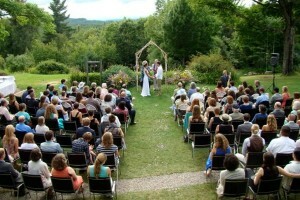 For more information or to make a booking, please call 603-847-3371 or email Richard@applehill.org.